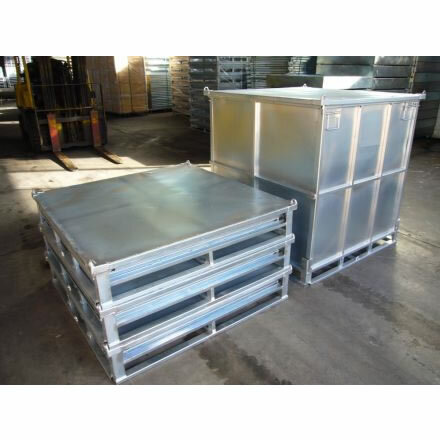 The NS-MSB-05 metal storage box is fully collapsible and stackable. 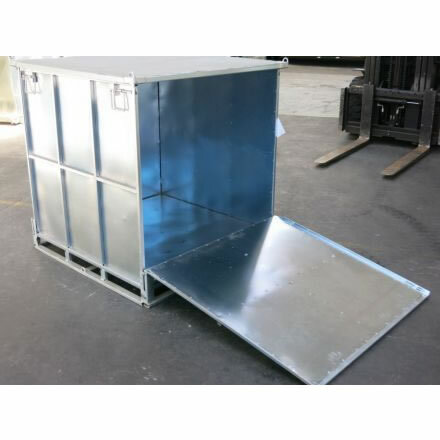 Made from sheet metal this durable storage box has a load capacity of over 1.2 cubic metres and SWL of 350kg. 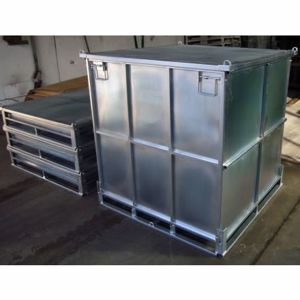 Is supplied complete with detachable lid and can be stacked up to 3 high fully in loaded condition. This storage box is perfect for one way transportation of goods with the ability to easily collapse for return transport.